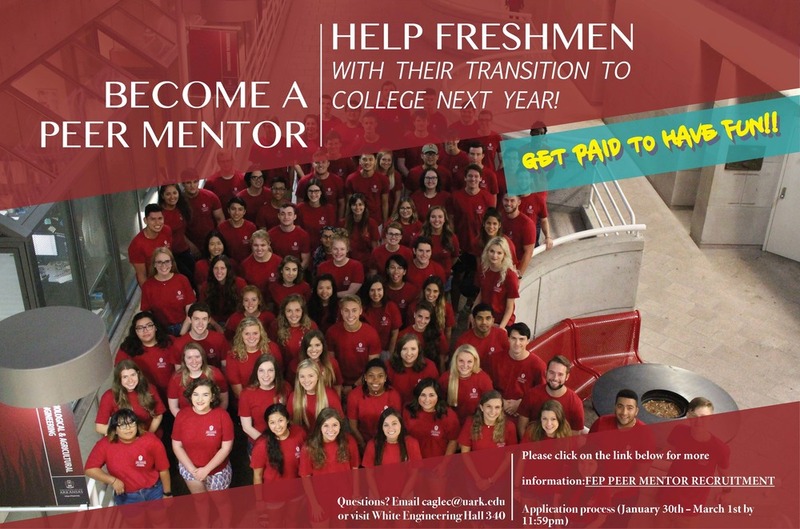 To help first year students ease the transition from high school to college, each student is paired with an upperclass engineering student to help with academic, professional, and personal development. Students will meet weekly with a peer mentor through the fall and spring semesters. Peer mentors will share the lessons they have learned and answer any questions students may have about academics, extracurricular activities, balancing school and fun, and anything else they may want to ask. Most importantly, they are great listeners and are willing to help if students need to bounce ideas off someone or discuss a problem or frustration they may be experiencing. Find out how to become a Peer Mentor today!